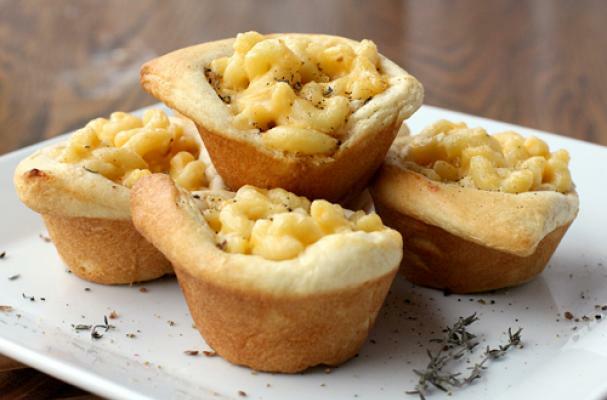 Macaroni and cheese cups from Quick Dish are bite-sized comfort food perfect for any gathering. Creamy macaroni and cheese is filled inside Pillsbury crescent dough and baked until perfection. If you are looking for something a little more non-traditional, add a few drops of buffalo sauce and top with diced celery. Macaroni and cheese cups are an easy dish surely to be a crowd favorite.